After a promising start in gymnastics, wining a state championship, Mirrin Keefe transitioned across in dance. She trained at the Joanne O'Kelly's School of Dance completing Cecchetti Exams 3 to Advanced 1. 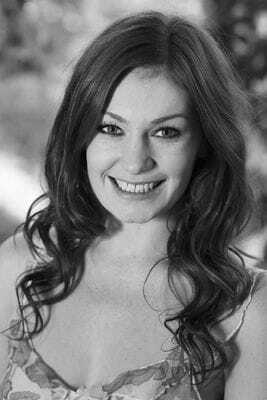 During this time at JOKSOD she also received a perfect score (50) in VCE Vet Dance and was chosen to perform her jazz solo at the VCE top class concert, receiving a Premier's Award in the same year. After graduating from JOKSOD she continued her training at Jason Coleman's Ministry of Dance, receiving a certificate of Performance throughout 2010 and 2011 and finished a graduating program in 2012. In recent years she has enjoyed touring nationally with 'The Pink Show' and the 'Lady Marmalade Show'. Also performing throughout Victoria at various corporate functions, including the AFL grand final breakfast, many fundraisers for charities, and as a resident freestyler for Viper Room Anthems. Most recently Mirrin has begun to explore the world of choreography in her first position as choreographer for Monash University, in the Science Society's Annual Ball. Mirrin is a consummate professional that understands that learning never finishes, so enjoys extending her training as well as passing on this learning to her students. For Mirrin, teaching has very much become a dual passion with dancing.